A1) Sounds very much like some of the old 'Bass Sphere' releases in 92, a nice mix of 91 Techno synths + 909s backed with some very inventive use of Hoover stabs being slowed/pitched up & down...rarely heard in 91 - a year later this track would've been quite typical, but here ahead of it's time...also with it's speed - very 92/93 in bpm. B1) A slower Kraftwerk-sampling Techno track with simple synths, few vox samples & some scratching thrown in. 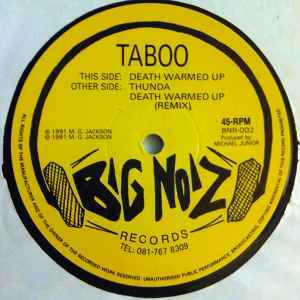 B2) The remix of the A-side...still pacey & not too different except for highlighting the bassline & taking the Hoover/Mentasm section a bit further with a more manic use of the stabs...once again really 92/93 sounding here.